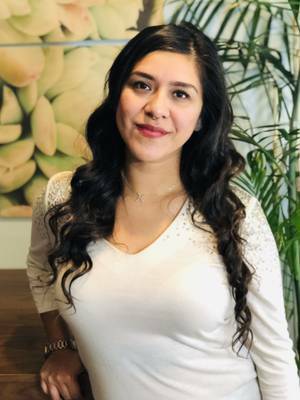 Since obtaining a Master’s degree in Counseling in 2007 at CSU Fresno and a PsyD in Clinical Psychology from The Chicago School of Professional Psychology in 2013, Dr. Flores worked as a therapist and program director in a wide variety of mental health treatment setting. This diversity of experience allowed research and training to expand her skills as a Feminist therapistwith emphasis on Eating Disorders, Mindfulness and women’s issues. With a history of providing individual, group, family, and couples counseling services, as well as therapeutic yoga services, Dr. Flores has focused on evidence-based practices, providing guidance and support in Mindfulness in Recovery, Dialectical Behavioral Therapy (DBT), and other self-empowerment strategies. In addition to training as a therapist, she is a Certified Yoga Teacher, also trained in Mindful Stress Reduction, Reiki and as a doula. By integrating a variety of holistic tools into recovery and wellness, she works to create a long-lasting, sustainable wellness plan. Now proudly with Center for Discovery, providing clinical outreach for Orange County and the Central California region. This role has included national and international training and speaking engagements on eating disorders, mindfulness, yoga, body acceptance, and professional wellness, as well as facilitating accessible, body-affirming yoga annually at the Los Angeles NEDA walk. With a passion to support other therapists and community members with understanding eating disorders and treatment as well as self-care and overall wellness, she is always working to share information, research and training.